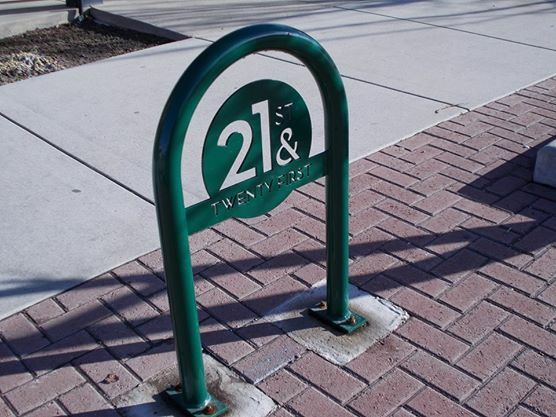 The Salt Lake City Council adopted the 21st & 21st Small Area Plan on November 21, 2017. You can read the adopted plan here. The SLC Planning Commission voted on January 25, 2017 to send a favorable recommendation to the Salt Lake City Council to approve the 21st and 21st Small Area Plan. Next it will go to the city council for a final vote. There is quite a back log of items for the city council and no date has been set. The earliest projection is perhaps summer of 2017. We’ll keep you posted. The 21st and 21st Small Area plan is on the schedule for January 25, 2017 for the planning commission meeting. Public comments have been collected throughout 2016. The draft plan is out and is tentatively scheduled for the January 11, 2017 planning commission hearing. The agenda for the planning commission hearing has been released, but you can check back. Salt Lake City is looking to host another open house in the fall (no date set yet) to collect more data about what people would like to see in this area. You can read the report delivered to the Salt Lake City Planning Commission and the SHCC to get up to date on feedback received and where the small area plan is at in the process. The first public open house is scheduled for Wednesday, June 17th. This meeting is a combination of the Future of Parley’s Way and the 21st & 21st Small Area Plan. Open house format, drop in anytime and be part of the conversation to shape your community. The city has selected CRSA to be the consultant on the 21st & 21st small area plan. Right now they are just beginning the data gathering and looking at existing conditions. The goal of this small area plan will be to seeking to create an improved and beautified business area and keep it compatible with the neighborhood. They will be identifying types of appropriate uses and create building and site design requirements. This is the opportunity for your voice to be part of shaping the vision for this area. The SHCC has representatives from the Dilworth and Country Club neighborhood on the committee to help keep us all informed. There will be opportunities for public involvement and a public open house sometime in the early summer. We will make sure to help publicize those events. If you know of people interested in this issue and they are not signed up for this newsletter please pass along the word so they can get regular updates. At the SHCC December 3, 2014 meeting the trustees voted on a motion to recommend no change to the zoning and no to amending the master plan. This motion passed unanimously. The outcome of the vote and all the comments received will be forwarded to the Salt Lake City Planning Office in our report. Understanding the process for zoning changes is difficult. The beginning of the conversation starts with the community council. We work to collect comments and we may or may not take a vote on any given land use issue. The process then moves to the Salt Lake City Planning Commission. All comments received by us are put into a report and given to the planning commission. These meetings are open to the public and televised on slctv.com. Regardless of the vote from the planning commission all zoning changes will proceed to the Salt Lake City Council for a final vote. This process takes time so nothing is occurring tomorrow. Send your comment directly to the SHCC to be included in our report to the planning commission.